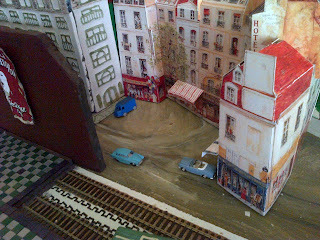 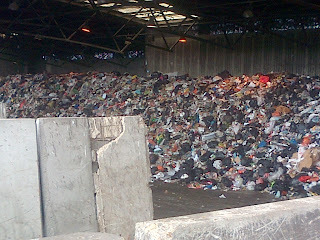 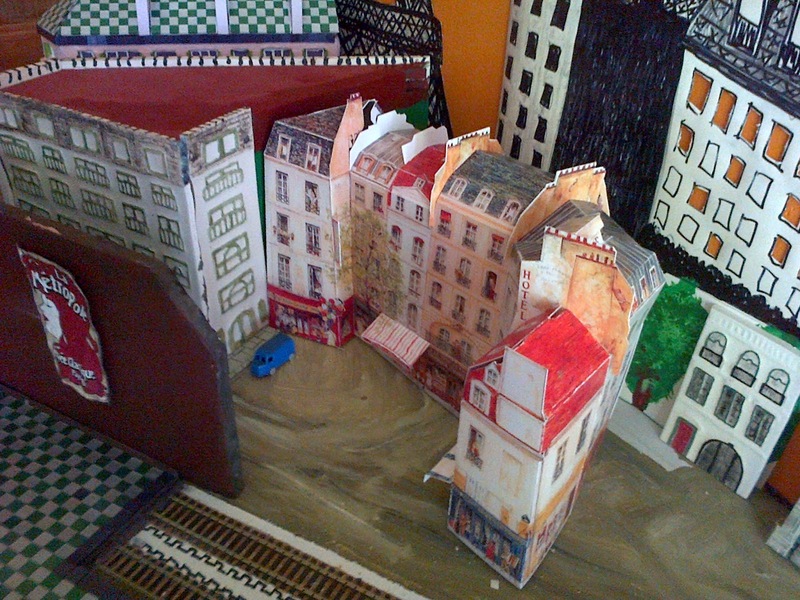 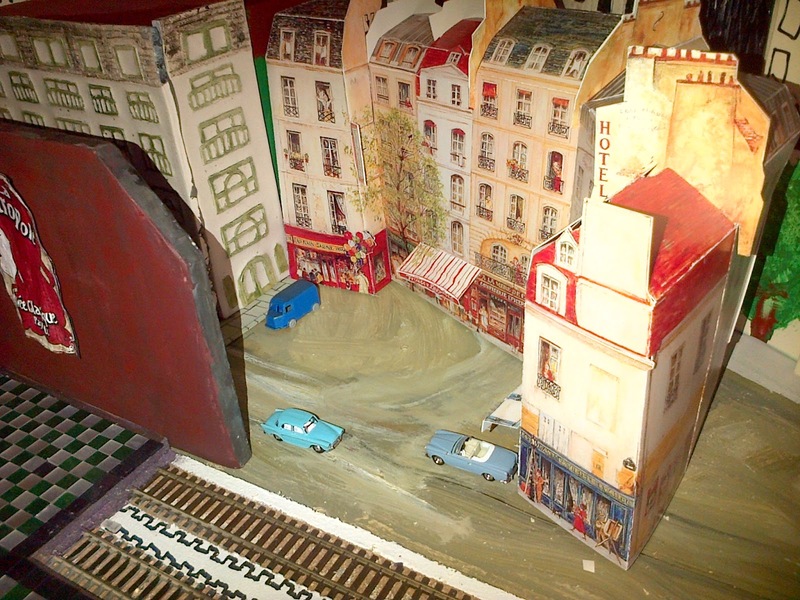 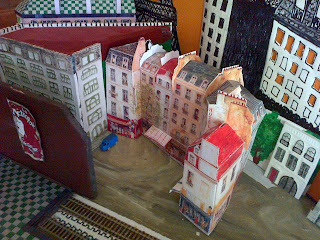 Some views of the back streets of the diorama. HotMix Radio, the internet radio station based in Paris. 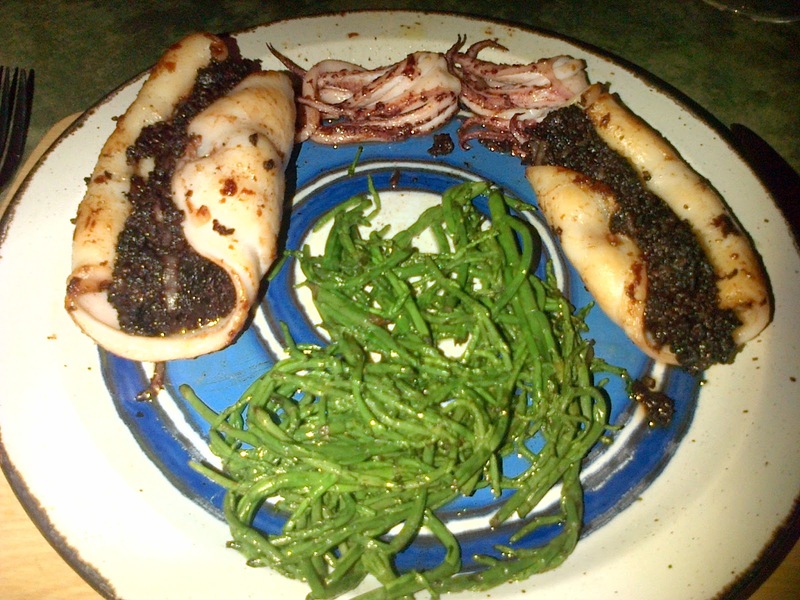 Absolutely excellent: squid stuffed with black pudding plus samphire. 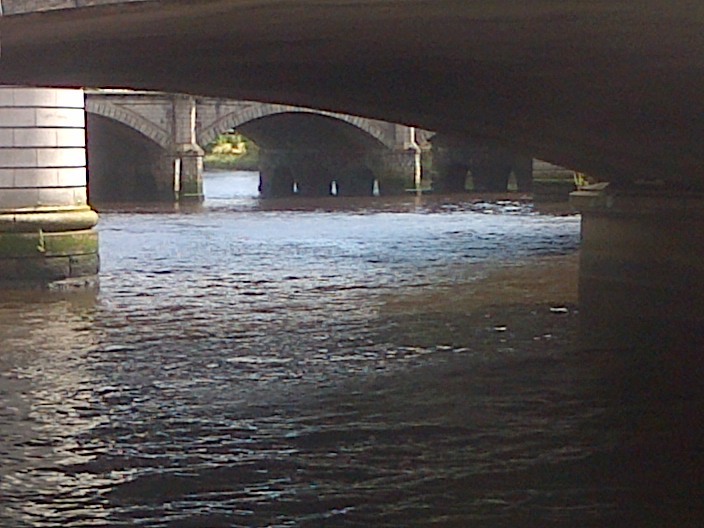 Then cycled into the centre of Glasgow alongside the river Clyde.